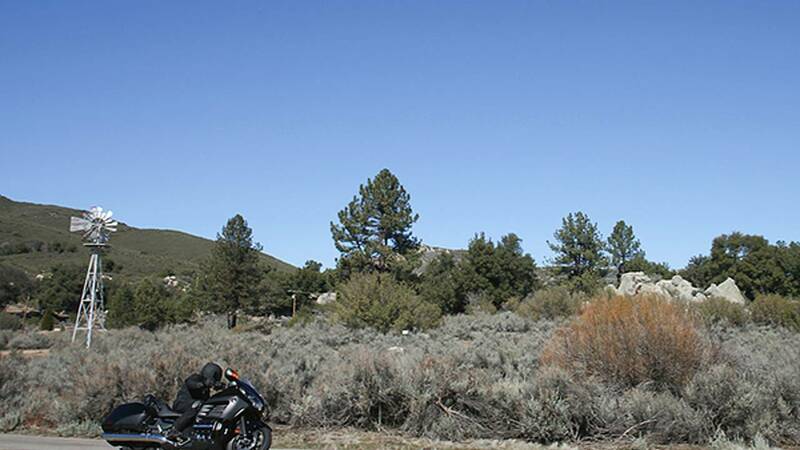 Honda Gold Wing F6B first ride. It rocks! To make the Honda Gold Wing F6B, the company simply knocked some weight off its flagship tourer and pared down the bodywork to make it look meaner. The result is more than the sum of those parts though. Bagger? Cruiser? Tourer? Muscle Bike? Sports Tourer? How about all five? 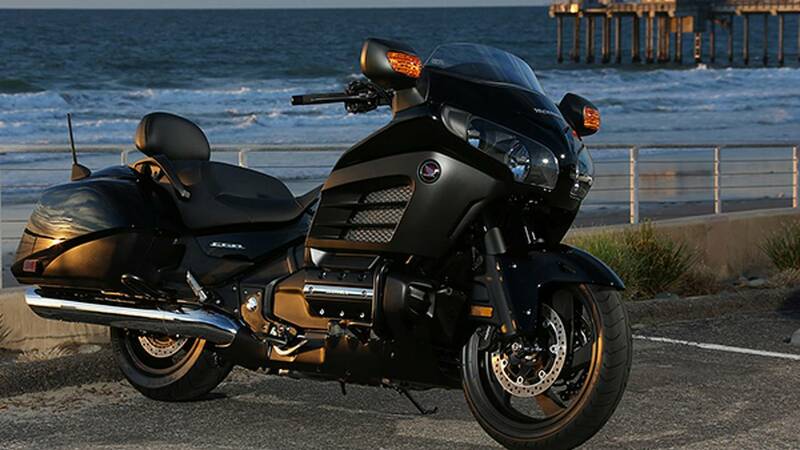 The current generation Gold Wing’s been around since 2001 and represents the pinnacle of high-tech, long-distance touring. As its flagship model, the Wing has had the full weight of Honda’s technical expertise applied to it. This isn’t just a big, heavy motorcycle with a couch-like seat, it’s a 904lbs motorcycle with a couch-like seat that goes, stops and handles nearly as well as a sportsbike. That’s thanks to an impossibly smooth, horizontally-opposed, liquid-cooled, 1,832cc, six-cylinder motor that develops an enormous, instantly accessible 125lb/ft of torque and 116bhp. It’s connected to the massive 45mm forks and aluminum swingarm/shaft drive via a twin-spar aluminum frame that you’d think was designed for a superbike if you saw it on its own. Rear suspension is also the pro-link arrangement as used on Honda’s sportsbikes. The whole thing can lean up to 42 degrees before the feelers on the pegs touch down. To make the F6B, Honda literally just took off the top box, chopped the windscreen and cleaned up the bodywork around the engine to better show it off. A gunfighter-style seat that’s a little lower and a little more spacious was added and the electronic adjustment for the rear shock is removed in favor of a hydraulic pre-load adjuster. Oh, and the electric reverse is also disappeared. To give you an idea how simple this approach was, the F6B’s mirrors are just the regular Wing’s mirrors, turned upside down. The result is 62lbs of weight loss. Crucially, the vast majority of that weight comes from ditching parts that were located quite high up, lowering the center of gravity even further. So far, so simple right? Not once you throw a leg over the F6B. Do so, and it feels almost like an entirely different motorcycle. At just 28.5 inches, the seat is .6 inches lower than the donor bike’s and also considerably more spacious. There’s a couple extra inches of length, enabling you to slide much further back before encountering the backrest and the ergonomic triangle that interfaces motorcycle and human feels considerably different. That continues as you pull away. With its center of gravity now much lower, the F6B is markedly easier to handle at low speeds, losing the slight ponderous nature of its big brother. The new seating position also increases your leverage over the bars, making it easier to steer both at parking lot speeds and while hustling the bike down a mountain road. And hustle you can. The Gold Wing itself is a remarkably able motorcycle in its own right, now with positively flickable steering and having shed that weight, it’s even faster. You still need to be fastidious about setting a line through corners as the F6B’s massive momentum won’t want to alter course once it’s leaned over, but do so and the bike rewards with the kind of smooth, easy, flowing pace that can eat up back road miles while seeming to magically move points on a map closer together. That chopped screen? At 6’ 2”, it directs airflow just onto the top of my shoulders, leaving my helmet in buffet-free, clean air. This is my preferred arrangement, leaving plenty of room for me to look over, rather than through the screen while still protecting the entirety of my body from wind and weather. Where the regular bike suffers from some buffeting and back pressure dependent on screen height, the F6B lets your helmet interact with the wind on its own terms, like it’s been designed to. The F6B is such an impressive motorcycle that it’s hard to know where to start here. You can ride it like a sportsbike, trailing the non-ABS brakes hard into a corner, then grabbing a fist full of throttle on the way out and power shifting into the next gear. You’ll drag plenty of peg in said corner, but doing so doesn’t upset stability whatsoever. Or, you can back off and just cruise, rewarded with one of the most comfortable, effortless two-wheeled experiences out there. Swapping from the F6B onto a regular Gold Wing made the latter feel positively cramped in comparison. There’s much more room to move around in the F6B’s seat and, surprisingly, considerably more leverage over the same handlebars. While ultimate weather and wind protection is sacrificed by the chopped screen, the arrangement makes the F6B feel much more familiar to riders coming off lesser motorcycles. With blacked-out mechanical components and clean, powerful looks, the F6B literally stops onlookers in their paths. Jaws drop and people don’t know what it is. That it does that free of chrome or the usual gewgaw adornments of cruiser-style motorcycles is a remarkable testament to good design. The stereo remains clearly audible up to around 100mph, the top speed we reached while riding it. The bike itself is allegedly good for 140mph, but you’ll probably need to crouch down like a GP racer to reach that. Then there’s the motor. It’s huge. It’s sophisticated. It’s smooth. There’s torque everywhere, so you can leave it in 6th gear down to walking pace while still retaining the ability to rocket past cars by just rolling on the throttle. Unlike most cruiser-type bikes, there’s no vibrations to rob you of either feel or feeling. At 842lbs (wet), you’re dealing with an awful lot of momentum in corners. Know how, on an ADV bike or a sporstbike or a standard or just most things, dialing in an extra five degrees or so to deal with a tightening radius, mid-corner, is an intuitive no brainer? On the F6B, with the pegs already pretty close to the ground, that might not be happening. You need to modify your riding not so much for slow-in, fast-out, but just to be fully aware of the corner you’re getting yourself in for. That weight also requires a little extra care when coming to a stop or negotiating parking lots or while splitting low-speed traffic. Yes, the F6B will lane split, thanks to neatly integrated bags, it’s actually narrower than most of those big ADV bikes you see equipped with aluminum panniers. I attempted to paddle the F6B rearwards up a very slight incline, such as you might find in the crown of a road while parking, and it was no problem, even missing that electric reverse. Probably don’t want to try doing so on a serious slope though. 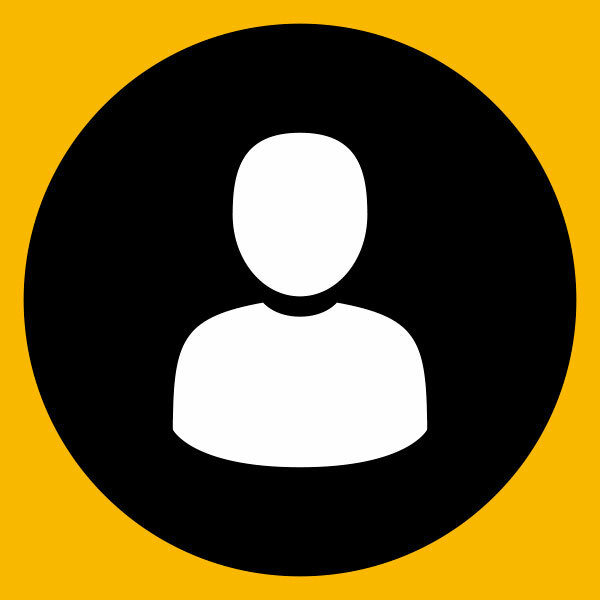 The USB input for connecting a phone or MP3 player is located in the left pannier, which puts it out of immediate reach if you come to a stop and want to check your messages. This is, however, a headphone jack in the cockpit’s lockable left cubby. Neither charges said device. The user interface for the stereo is also button-heavy and a little obtuse. Owners will get used to it after a week or two, but spoiled journalists with only a couple hours on the bike are left scratching their heads while embarrassingly girlie pop tunes blare. Even fitted with the optional back rest, pillion accommodation is a ways below the Lay-Z-Boy the stock Wing is fitted with. A 150-mile route emptied most of the F6b’s 6.7-gallon tank. That was a mix of 85mph freeways, 35mph surface streets and…enthusiastic riding on back roads, but still, 22mpg or so isn’t terribly impressive, neither is a relatively limited tank range from what’s otherwise an excellent tourer. Direct sunlight can obscure the neutral and O/D idiot lights. The F6B starts at $19,999, nearly $4,000 cheaper than the regular Gold Wing. The “Deluxe” model pictured here adds a center stand, pillion back rest and heated grips for $1,000 more and there’s a host of accessories and add-ons available directly from Honda. 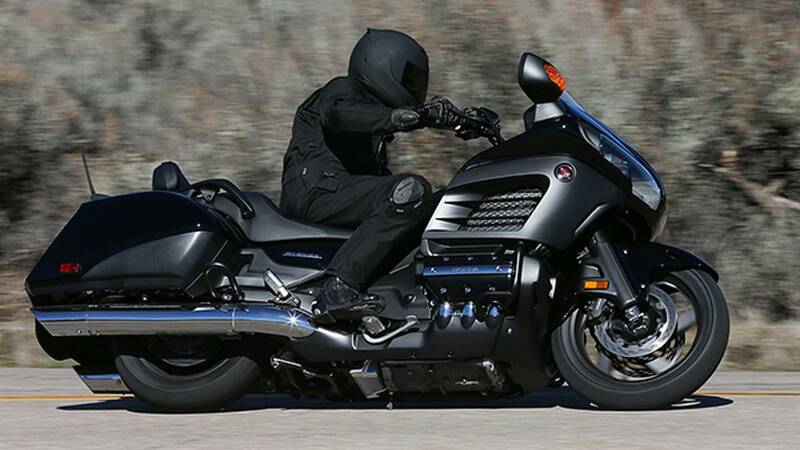 One of the most uniquely capable, most special motorcycles around, the Honda Gold Wing, has been utterly transformed into something even more capable and more special through a series of very basic changes. Cheaper, faster and more fun than the Gold Wing, the F6B makes an incredibly strong argument for itself even before you get to its looks, which have to be some of the boldest, most distinctive there are right now. 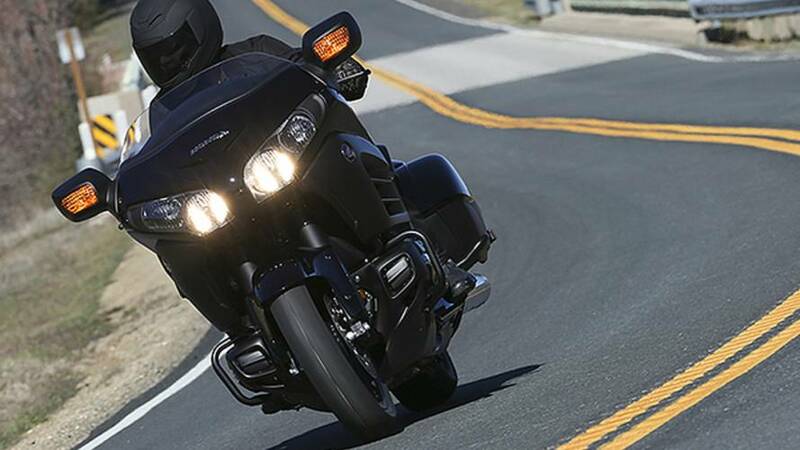 It’s not just a sports tourer, it’s not just a cruiser, it’s not just a bagger, it’s not just a muscle bike. It’s all those things in a package that has something to offer to virtually any motorcyclist.